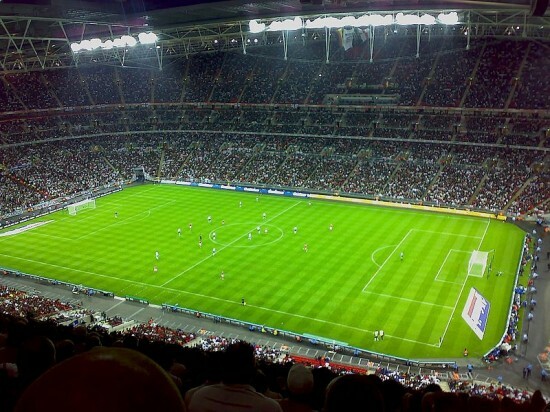 When most people think of Wembley, they think of the huge football (soccer, in the US) stadium and events arena. This is a massive landmark that is internationally renowned as the place where top football/soccer matches are played and the biggest music artists perform. There are loads of other great sights nearby and Wembley and the surrounding area is a fantastic place to take kids on the outskirts of London. Stay locally and venture to the nearby attractions from your base by booking well priced Travelodge rooms in Wembley. There are over 750 different species at London Zoo, take your kids along and make it 751! There are all the kid’s favourites here including tigers, penguins and gorillas. There are daily animal shows and talks so your family can learn about the different species as well as seeing them in action. Animals live in habitats as close to their natural environments as possible and you can move from Penguin Beach to Butterfly Paradise within minutes before moving on again to Tiger Territory. Entry is £23 for adults and £17 for children including online booking discount. This is great value considering there is more to do at London Zoo than can fit into one day. The zoo is open from 10am until 6pm throughout the summer holiday and has an onsite restaurant where you can get lunch. Kew Gardens are just 5 short miles from Wembley and are easily accessible by overground or by car. There are 300 acres of Kew Gardens to explore and there are plenty of activities for kids besides discovering the gardens. Special activities run during the school holidays that are completely free for kids and their parents to join in with. Outside of the holidays huge amounts of fun can be had on the climbers and creepers indoor play area, or the tree house towers obstacle course outside. You can’t visit Wembley without visiting the stadium. Football (soccer) fans and the disinterested alike will be silenced by the sheer size of the arena and the atmosphere it holds even when empty. Taking the tour will give you access to all the areas of the stadium. Stand in the dressing room awaiting the start of the big game, gather your thoughts, walk proudly through the tunnel onto the pitch and imagine the roar of the crowd as you arrive. You can also sit in the pressroom and climb the 107 steps to the royal box where the trophies are dished out. After you’ve seen all the areas of the stadium you can view some football history such as the cross bar from the 1966 world cup and a replica of the FA world cup. What more could any football fan dream of? Wembley is in a great location near to all these fantastic attractions but is often overlooked as a place to stay because it is only associated with the arena. Make the most of the reduced traffic of the football offseason and the central location by basing here and making some day trips to the neighboring boroughs.